Kansas Truck Equipment offers a full line of Snow & Ice Removal Equipment, including BOSS, Flink, Buyers, and more. Our Snow & Ice Removal Lines are built tough & able to deal with the most extreme climate conditions. If that’s not enough, we can also supply walk-behind ice-melt spreaders to permit sidewalks to be treated more easily and efficiently. Don’t get stuck out in the cold. Find out how our Snow & Ice Removal Equipment products can clear the way and get you to your destination. Contact us before the next Snow Flake Falls! We can fit your 4 x 4, 1/2 Ton truck and ATV with a snowplow. 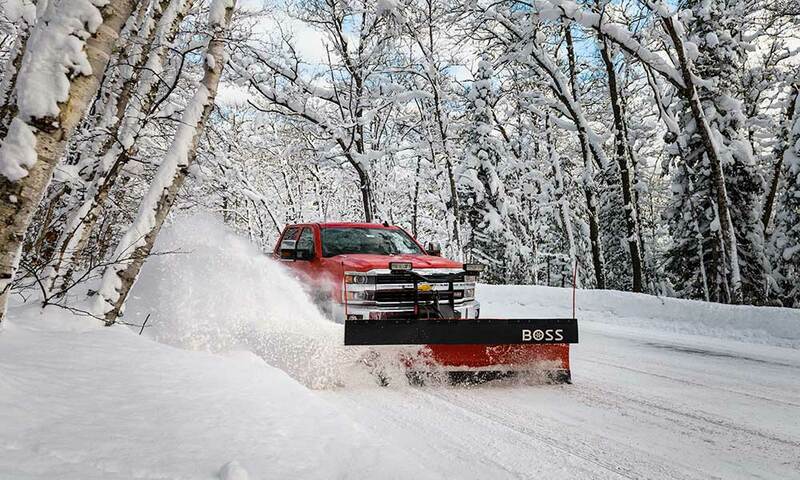 Snow plows in V-shapes, straight edge from 7 to 10 ft. BOSS has the patented SmartTouch2 control system and the SmartHitch2 systems making BOSS the easiest to use. 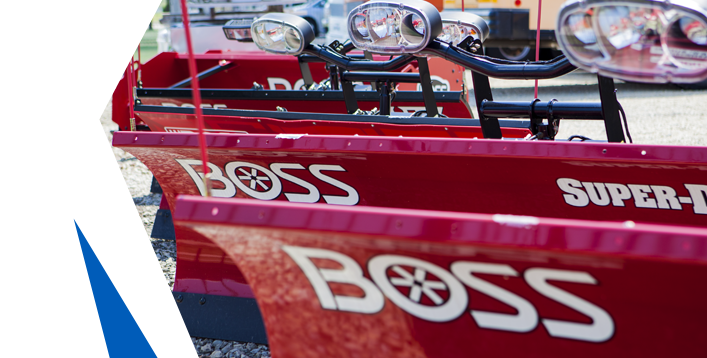 The EXT is the latest innovation from BOSS. With expandable wings, it plows at 8 ft. for tighter cuts and expands to 10 ft. with pitched-forward wings for optimal productivity, making it the perfect parking lot plow. 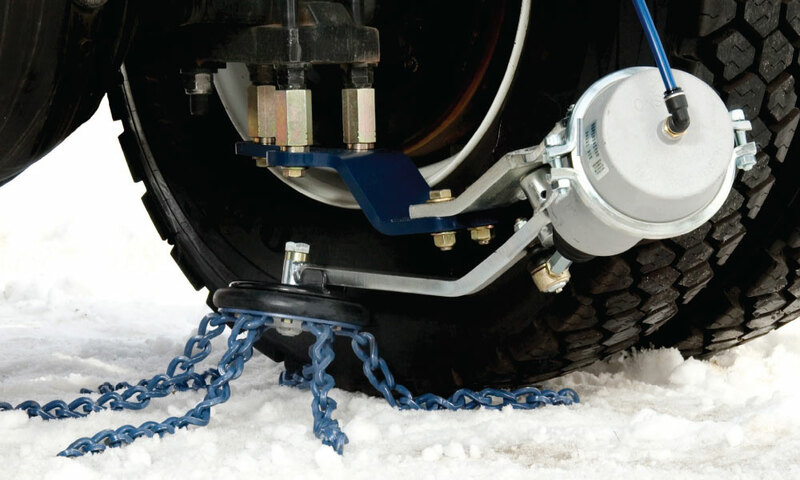 With Kansas Truck Equipment on your side, snow and ice are no match. From large lots, to sidewalks, we have the salt equipment you need to emerge triumphant against anything related to cold weather. 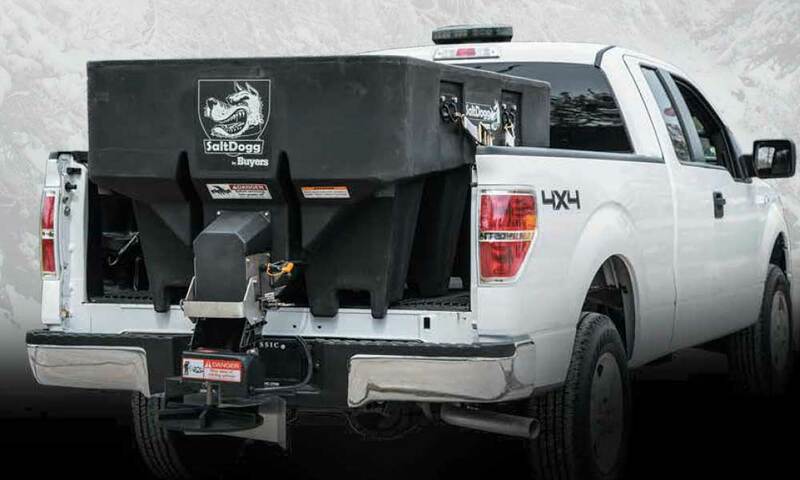 From broadcast spreaders for sidewalks, tailgate models that slide in to your existing receiver hitch, up to large hoppers that fit your 8′ truck bed, or under tailgate models for your dump. 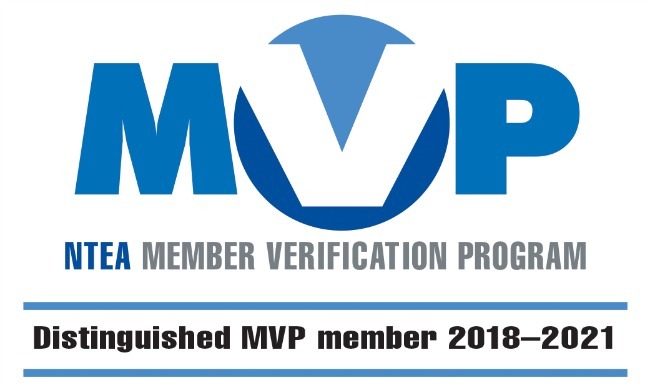 Onspot is easy to use and reliable. On icy and slippery roads, the automatic tire chains are activated by the driver – from a dashboard switch. For emergency vehicles, public transport or commercial vehicles, Onspot is a smart insurance to help you arrive safely and on schedule.